Approaching the upcoming election, ThreeConservativeBros is highlighting 50 events that have influenced our nation since the 2008 Presidential Election. Today we discuss reasons 36 thru 50. Click here to review Volume I, Volume II, Volume III, and Volume IV. 36. Bank Bailout – At the apex of the Depression scare of 2008, Congress passed a $700 billion Trouble Asset Relief Program (TARP) bailout package. $350 billion was issued immediately to prop up failing American banks and insurance agencies. Reports have recently been released with varying degrees of success. The Federal Treasury released a report estimating the total cost of TARP will be $50 billion. Bloomberg released a report reporting the Fed EARNED $25.2 billion on its investment, enough to fund the SEC for 2 decades. However, if you read the Bloomberg report it states, “The suppression of interest rates at close to zero for most of the last two years has also boosted banks’ income, enabling them to borrow money at almost no cost and lend at higher rates.” Later it continues, “One of those subsidies is the $350 billion that savers forgo each year because the Fed keeps interest rates near zero, according to Petzel’s calculations. While banks can borrow at close to zero from the Fed, they lend to consumers and corporations at almost 5 percent, or to the Treasury at 2.5 percent, and they get to keep the difference.” In other words, anyone saving money in banks (i.e. EVERYBODY) have lost money since TARP passed, while that money has been transferred directly from the bank on to the government. Taxpayers are paying off the bank debt, not banks. Needless to say, there is still a lot we must learn about the whereabouts of our money and stake in our financial institutions. 37. Unemployment – The one area that may sour President Obama’s legacy more than any other is the economy and joblessness. Polling has shown the economy is the largest concern of the public, by far. Although spending packages were passed, most people thought the administration focused too much on other issues such as Health Care, rather than getting Americans working again. The unemployment rate has held between 9.5% to 10% for over a year. The underemployment rate has been estimated between 17%-18%. Meanwhile, for many Americans, unemployment benefits that have been extended a few times, are beginning to run out. The Obama administration has shown a lack of understanding from very early on, but there remains hope that a return to smaller government principles will stimulate American industry again. 38. NPR/Juan Williams – Last week, we posted about NPR firing commentator Juan Williams for comments he made on the O’Reilly Factor regarding his uneasiness when boarding a plane with Muslims in traditional garb. Juan explained his firing with an excellent piece he wrote on FoxNews.com. It was an unfortunate event for someone recognized as a pretty fair-minded, independent liberal voice. Williams is not unfamiliar with controversy generated by not toeing the liberal point of view. But the bigger question the NPR decision created was if NPR was justified in its firing for Williams not following company editorial policy or if NPR was quieting someone who they felt did not represent the opinion they wanted to represent. If NPR was a private company, it would be one thing – but as a public company, receiving taxpayer funding, did they overstep their right? 39. Federal Budget – The President has released two budgets since taking office. Neither have shown an attempt or a plan to contain the growing gap between revenues and outlays. The Office of Management and Budget presented a budget for 2011 of $3.8 trillion, with a budget deficit of $1.6 trillion. Little to no freezing on spending or attempts to stagnant the rising costs of entitlement programs that will eventually run out of funding. There is definitely a lot of blame to be brought back to the Bush Administration, that started the spending slide. This has negatively affected true fiscal conservatives and muted their ideas to fix our Federal budget. Whenever a plan comes forward with genuine solutions, such as Paul Ryan’s Roadmap for America’s Future, they get superciliously silenced rather than expressing fact-based arguments against his plan. Eventually a politician will need to get serious about budgeting instead of expecting us to spend our way out of a deeper hole. 40. Charlie Rangel – Ethics charges against politicians is nothing new. The amount of tax issues among high-profile Democrats have been an alarming concern. 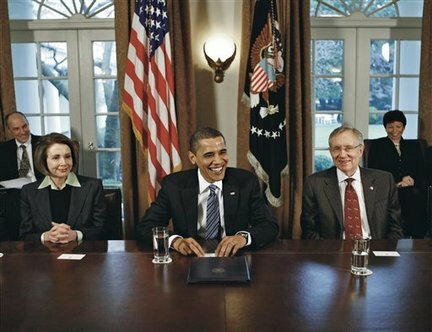 It started nearly from nomination day, when numerous Obama appointed nominees got caught with tax issues. But the most severe happened late this summer, when 40-year veteran Democratic Congressman from New York, Charlie Rangel, was charged with 13 counts of ethics violations. Many of the serious charges were related to unreported finances and failures to pay taxes. Sure, that is a major problem for a Congressman…but it becomes an EXTREMELY major problem when the Congressman in question is the chairman of the tax-writing Ways and Means Committee. It’s tough to promote fair taxes and following a tax code when the person heading the department creating the code is a cheat himself. The United States Government Accountability Office (GAO) would eventually clear Acorn of the alleged offenses but it wouldn’t matter the right wingers were already on a witch hunt. BigGovernment.com used hidden cameras to expose Acorn employees of giving advice on tax evasion, fraud, prostitution and more. They used the same tactics with the same results in cities all over the country. After enough public outrage, Congress passed a bill to cut off funding for ACORN. 42. Vetting Issues – During the beginning of the President’s term his administration must nominate hundreds of people to all kinds of positions. This is no easy task but one that should be taken seriously. I think it is worth noting all the higher profile stumbles along the way. Commerce Secretary nominee Bill Richardson withdrew over a pay to play political donors. Treasury Secretary Timothy Geithner was nominated despite failing to pay $34,000 in taxes. Tom Daschle withdrew from a nomination to lead Health and Human Services Nomination over $130,000 in back taxes. Nominee for Chief Performance Officer, Nancy Killefer withdrew after it was discovered a lien had been placed on her house over unemployment compensation. Van Jones resigned after his Marxist and 9/11 truther views came to light. Then you have the Safe and Drug Free Schools Czar, Kevin Jennings who openly writes about his frequent drug use while trying to promote homosexuality in schools. 43. Don’t Ask Don’t Tell – President Obama promised as a candidate that he would work to overturn DADT. Gay rights activist were fuming that Obama put the issue on the back burner for his first year in office. Now, Obama is vowing to end the policy while he is in office. Recently, he ordered the military to review the issue and Defense Secretary Robert Gates even testified before Congress about its financial and moral cost. Last month, Senate Republicans blocked a defense bill that would have repealed the law. Then last week a federal district court ruled the ban on gays was unconstitutional giving activists hope again. But the administration defended the law and asked the court to stay an injunction pending the DOJ’s appeal. Gay Rights activists hopes and Obama’s last chance to fulfill a promise may be for Congress to act during a Lame-Duck Session. 44. Immigration Reform – President Obama promised his supporters that he would pass comprehensive immigration reform within the first year of his administration. Eighteen months later, with no said legislation and a border fence construction project that had been halted, Arizona passed a new state law to crack down on illegal immigration. Polls show 70% of Arizona residents supported the law and that their state of 6.5 million has nearly 500,000 undocumented workers. And even though close to 66% of the country supported the AZ law which virtually mirrors our Federal Immigration Laws and attempts to fill the void of the Federal Governments clear dereliction of duty to enforce our borders, the Obama Administration choose to ratchet up attacks on the state claiming racial profiling, and eventually sue the state of Arizona. The lawsuit however, was not to challenge the potential for racial profiling as was the argument all along. It was done on federal pre-emption grounds, alleging that Immigration policy is a federal matter that can only be set and enforced by the Federal Government, regardless of their willingness to enforce the law. Finally the Federal Government also sued an Arizona sheriff Joe Arpaio, alleging that his department discriminates against Hispanics. It’s also important to note that upwards of 85% of illegal immigrants are of Latin American descent. 45. Jeremiah Wright – Prior to the election of 2008 we came to find out that then Senator Obama attended a black church in Chicago headed by race-baiting, liberation theologian, Reverend Jeremiah Wright. President Obama spent 20 years in his pews; called him his spiritual advisor, had him baptize his children, and wrote a book based on one of his sermons. He subsequently threw him under the bus and left the church when asked to justify the multiple incendiary racist and anti-American comments Wright made throughout the years. 46. Eric Holder – In January 2009, Eric Holder became the first African-American Attorney General of the United States. Initally calling us a nation of cowards in regards to race, Holder reneged on his word deciding to appoint a special prosecutor to investigate former Bush CIA officials, he halted military commissions of terrorists, refused to acknowledge radical Islam being a threat when asked, attempted to try 9-11 terrorists in a civilian courtroom in Manhattan, and dropped a voter intimidation case against the New Black Panthers and stonewalled media inquiries. 47. Supreme Court – President Obama has appointed two Supreme Court Justices in his first two years in office. Sonia Sotomayor, the court’s first Hispanic Justice, was confirmed in August of 2009. Originally appointed as a federal judge by George H.W. Bush, Sotomayor has a lengthy resume, but has made some controversial statements and decisions. Elena Kagan, the court’s 4th female justice, was a former Clinton policy adviser and first female Dean of Harvard Law School. She was confirmed by the Senate in August of this year. Kagan, 50, has never been married and does not have any kids. Both Justices will enjoy lifetime appointments. 48. BP Oil Spill – 5 years after the tragedy of Hurricane Katrina, the Gulf Shore area was with another disaster. The explosion of the BP Deepwater Horizon oil rig sent anywhere from 35,000 to 100,000 gallons of oil into the Gulf of Mexico for nearly 3 months. The people were left with a second example of the inefficiencies in many government agencies. The Obama administration was also blamed for its poor planning and response. It was 9 days before Obama publicly acknowledged the spill. A recent special committee found that President Obama reaction was too slow, and then to over-reactive after the public outcry of their failures. 49. Stupak Amendment -During the 2009 and 2010 health care debate Bart Stupak, US Rep from Michigan’s 1st Congressional District, threatened to block or oppose passage of the Democrats health care reform bill. He led up to 10 other Democratic Congressmen who vowed to oppose the bill unless specific language was drafted to specifically not provide federal funding for abortion. His Catholic Democratic co-horts held out until the last minute when President Obama agreed to issue an executive order disallowing federal funding for abortion if he and his troop would vote for the bill. The result: The bill passed by a 7 vote margin in March 2010. Shortly after President Obama signed a non-binding executive order and Bart Stupak decided to retire from politics and not run for his seat again in the conservative northern Michigan district. Obama’s Justice Department dropped a voter intimidation case against the New Black Panthers. In July 2010 the NAACP passed resolutions and publicly condemned the Tea Parties saying that they must condemn and root out their embedded racist elements and members. More recently they issued another press release claiming the Tea Partiers are deeply racist and anti-Semitic. There was the Shirley Sherrod charade. A right-wing commentator posted a video of a Sherrod speech to an NAACP audience. The White House took the edited video out of context and fired Sherrod, only to admit days later that they overreacted and offered Sherrod her job back. The video’s poster, Andrew Brietbart, claimed he posted the video to show the NAACP audience reaction to Sherrod’s story, but the NAACP claimed more racism against Brietbart and Fox News. In 2009 when townhalls were erupting over Obamacare, the media did their best to label the protesters, amongst other things as racist, opposing the health care overhaul only because of the color of President Obama’s skin. During a speech from President Obama to a joint session of Congress in September 2009, South Carolina Representative Joe Wilson yelled out, “You Lie!” The shout was in response to Obama saying that his health care proposal would not offer coverage to illegal aliens. Many liberals in the media including former president Jimmy Carter said that this outburst by Wilson was racially motivated. Carter has publicly stated many times that most opposition to Obama is due to racism. The media has unanimously labeled those against a comprehensive immigration reform plan that includes amnesty as motivated by racism. 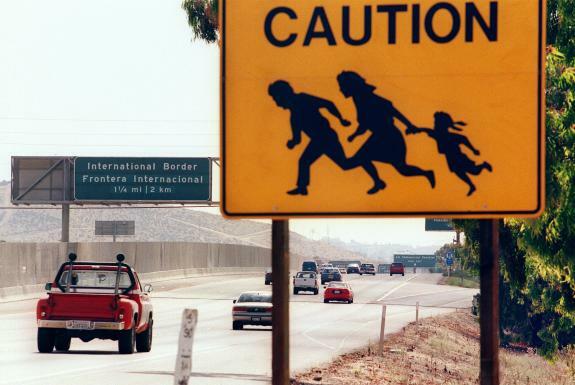 Arizonans who supported their bill to combat illegal immigration on a state level, as well as those around the country who want to stem the growth of illegal immigration have also been labeled as racists who alleged fear the declining white population. When President Obama was elected he left a Senate seat from Illinois that the Democratic Governor was supposed fill. Unfortunately that governor was Rod Blagojevich, who was under indictment for supposedly trying to sell the vacant Senate seat. With his first choice declining, Blago appointed former state Attorney General Roland Burris. The Senate, with support from the President refused to seat Burris saying that the appointment was tainted due to allegations currently against the Governor. Black US Representative from Chicago Bobby Rush took issue and made these comments, “I would ask you to not hang or lynch the appointee as you try to castigate the appointer,” and “I don’t think that anyone, any U.S. senator who’s sitting (in) the Senate right now, wants to go on record to deny one African American from being seated in the U.S. Senate.” Burris was eventually seated and has been allowed to serve out the rest of his Senate term. The Congressional Black Caucus claims racism amongst its ranks. At one point last year all 8 Congressional members under ethics investigations by the House Ethics Committee were black Democrats. The two most prominent, Charles Rangel and Maxine Waters face serious charges. Waters and other black caucus members have publicly voiced accusations that they face more scrutiny because they are black, not because of any wrongdoing. learn to spell government before you put out your opinion to change it. learn to spell government before you put out your opinion about it.